Can you help the museum to identify these women from the Waubaushene chapter of the Daughters of Rebeka? 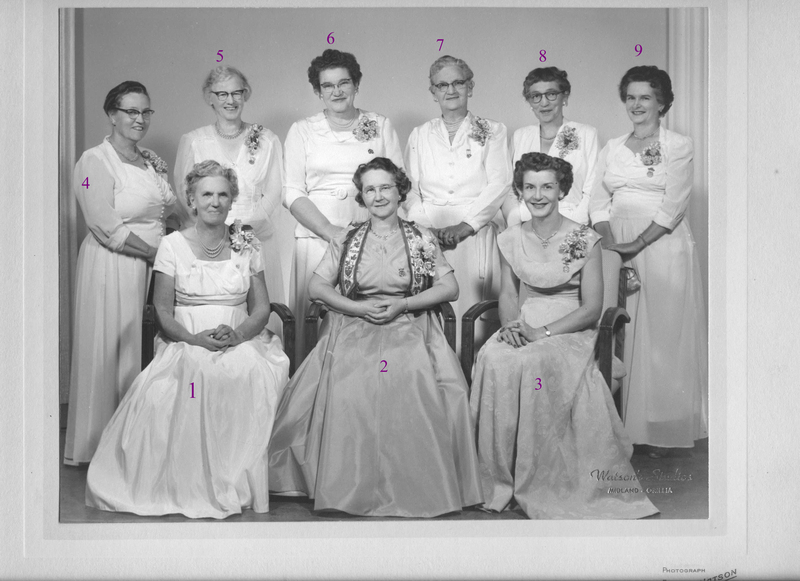 I think #7 is my grandmother (Gertrude Wilson) and #3 is my aunt (Bernice Wilson) will check with my cousins to verify. And I can confirm #8 is not Bea Brady. She was my grandmother and much taller.